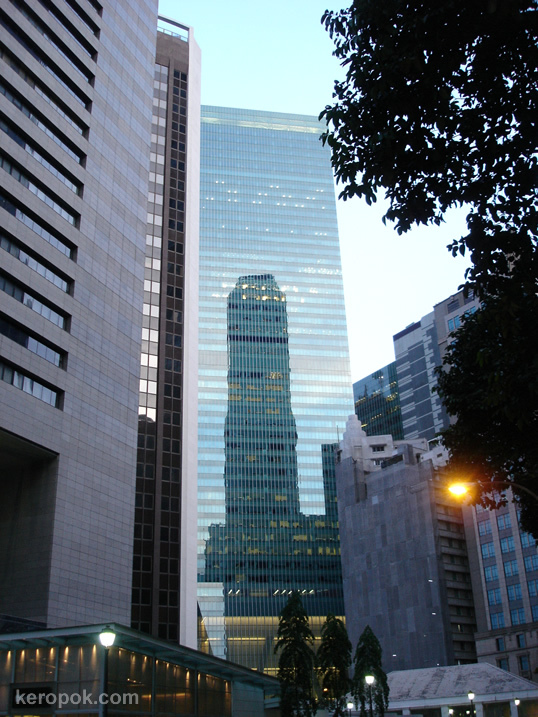 Here's a view at Raffles Place, where all the major banks, insurance companies, MNCs, local companies have their tall tall buildings. I thought this looks interesting, you can see the reflection of the opposite building on this building. Do you work in the financial district? For me, I work far away from the financial district.